Located in the heart of Midtown Sacramento, Sutter’s Fort State Historic Park has been part of the California State Park system as a Living History Museum since 1947, and is both a California Historical Landmark and a National Historic Landmark. Set in 1846, Sutter’s Fort preserves important California history and tells the story of the many cultures that inhabited Sutter’s Fort and the surrounding areas during the 1840’s — including Mexican citizens of Alta California, the emigrating European and American pioneers, and Native Americans. Sutter’s Fort has many areas to explore, including the Carpenter Shop, Vaquero Room, Gunsmith, Blacksmith, Distillery, Kitchen, Bakery, Weaving room, Beehive Oven, and the Cooper’s Shop. 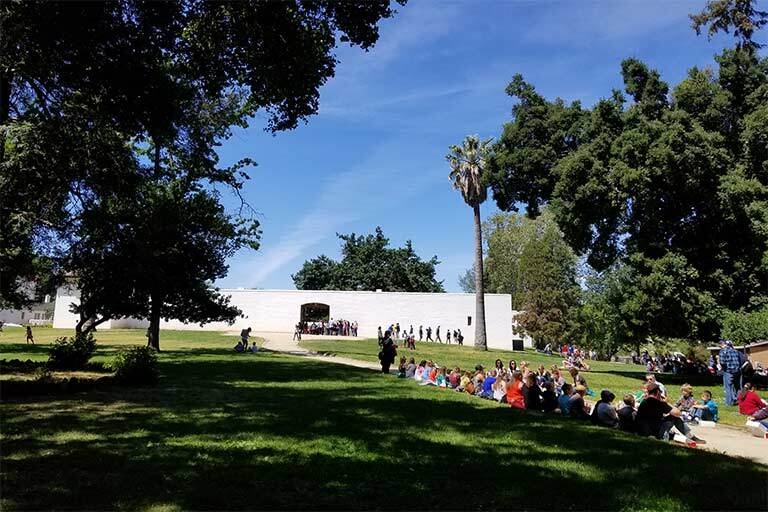 The park has annual attendance of over 100,000 each year, and nearly half of those visitors are children who visit Sutter’s Fort State Historic Park to experience educational programs. Sutter’s Fort State Historic Park is aligned with the curriculum framework for 4th grade education in California.